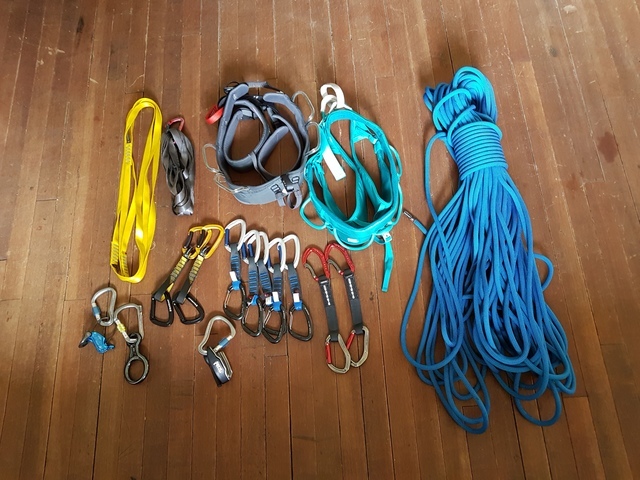 Selling a bunch of climbing gear that has been sitting around for the last year unused. Thought my kids weregoing to climb a little more but ended up finding other hobbies. Would prefer to sell as a PKG but might consider selling the climbing rope on its own. Everything is almost new with only 2 to 3 climbs on the equipment. I am firm on the pricing. $325.00 for the whole PKG or will sell the rope for $125.00 and the rest as a PKG for $200.00.